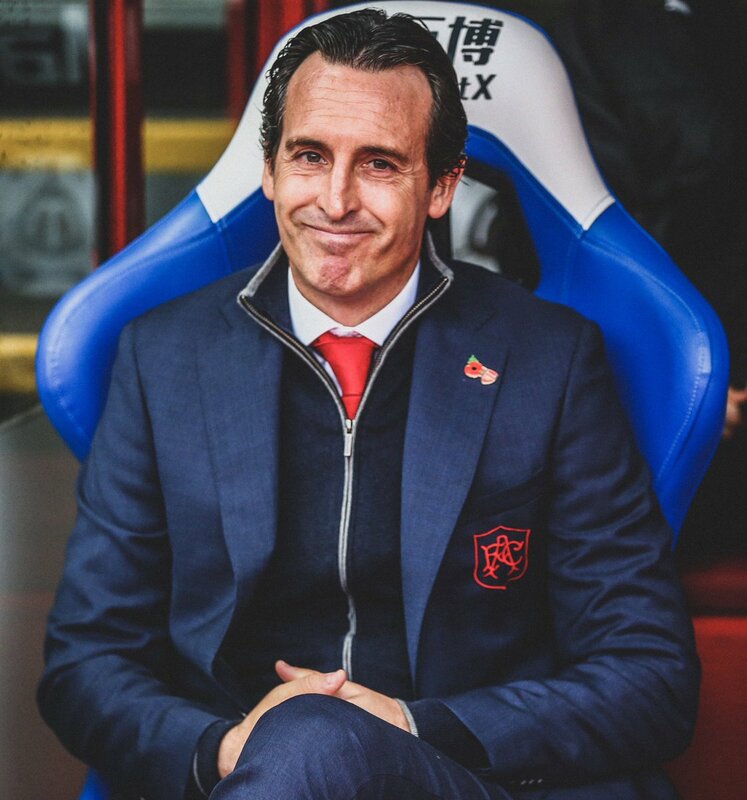 When Unai Emery lost his first two league games as Arsenal manager, many thought Arsenal had gone from the frying pan into the fire. Arsene Wenger took the club so far; he could go no further. After over two decades of consistent Champions League football, the Gunners were swallowed up by the competition for a top-four place. With Manchester City, Chelsea and Liverpool reinvigorated while José Mourinho enjoyed his first two campaigns with his new side Manchester United, Arsenal found every entrance to the Champions League blocked. When Tottenham stepped up to fill any room vacated by those four, salt rubbed in the wound. Maybe that killed Wenger's resolve to stay. The Frenchman finally succumbed to the #WengerOut movement. It was now time for the next chapter. Emery picked up the pen to write it. Having played some beautiful football in La Liga and won the Europa League back-to-back-to-back with Sevilla, the continent took notice. Winning two consecutive Ligue 1 titles with Paris Saint-Germain confirmed he could also compete in league play. For the Spaniard, it was also an opportunity to prove he can succeed in a fourth country [a stint with Spartak Moscow was thrown in between his time in Seville and Paris. Having shaken off the campaign's early disappointment, the Gunners have been on a mission. The team has not lost a single match in all competitions since August. A 12-game unbeaten run in the league has brought them from the bottom three to the top four. Two players proved instrumental to the team's success. Pierre-Emerick Aubameyang moved to the Emirates Stadium after setting the Bundesliga alight with Borussia Dortmund. Alexandre Lacazette powered Olympique Lyonnais to the Europa League semifinals as a top goal scorer. The duo did not hit the ground running under Wenger but Emery's found a way to bring out their best. Combined, they contribute 50% of Arsenal's 32 Premier League goals. Aubameyang alone has scored 10 in 14 appearances to top the scoring charts. Not renowned for their defence in Wenger's last years. Emery is still trying to crack that nut but if the recent derby win against Tottenham is any clue, outscoring opponents is also a winning strategy. In a game where the Gunners had their backs against the wall, losing 2-1 at the break, they surged back to score three unanswered goals against a formidable Spurs team who had humbled Chelsea 3-1 a week prior, ending the Blues season-long unbeaten run. That should speak volumes about Arsenal's title chances. ⚽️ @Aubameyang7 top goalscorer in @PremierLeague. 📈 Overtaken @SpursOfficial in the league. 4️⃣ Back into a Top 4 spot. 🔴 North London is red. Speaking of which, Pep Guardiola's Manchester City and Jurgen Klopp's Liverpool have been on a mission to outdo each other since the season began. The two remain the only unbeaten sides in the league. They held each other to a stalemate at Anfield earlier in the campaign. Guardiola clearly wants to retain his title. Klopp is determined to upstage him. The recent defeat to Tottenham left Chelsea trailing Liverpool and City by four and six points respectively. The Reds faced Everton in the Merseyside Derby while before the brouhaha in London. The game appeared destined for a draw until Divock Origi scored a freak goal in the 96th-minute, sending the Kop into ecstasy. That win also revealed much about the title race. it is poised to go down to the wire. At this stage, none of the top five can be ruled out. Sorry, Manchester United. Arsenal moved to within six points of Liverpool and eight behind City. Guardiola's Sky Blues hold the advantage but, as they proved late last term, they are by no means infallible. N side has defended the title in over a decade. The competition has become stiffer. Writing off any contender this early in the race is a huge mistake. Aubameyang and Lacazette's form alone gives Arsenal an outside chance. Man City are not shaping up to become the latest invincibles; Guardiola will be the first person to admit that. Liverpool are no more intimidating. The Reds have already lost three away games in the Champions League this term. Those will not be the last this season in all competitions. Just a short dip in form from the leaders will cast the race in a new complexion. Aubameyang and Lacazette have been key for Emery's side. Their partnership gives the team an edge. Few others can send out two match-winners. Together, they give Arsenal a chance.